Booms, busts, subsidies and the ‘youth bulge’; the 8th Arabian Business Forum, held last week in Dubai, discussed some of the major issues currently facing the Gulf economies. Chaired by ITP chairman and BBC television presenter Andrew Neil, the forum invited a series of keynote speakers and panelists to give their opinions on the most pressing concerns of the day. 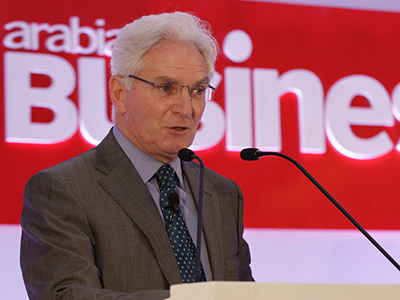 And when it comes to the Gulf economies, there aren’t many more prominent experts than Dr Nasser Saidi. He is the founder and president of Nasser Saidi & Associates, and is the vice-chairman of crowdfunding start-up Eureeca. In a long and varied career, he has also served as chief economist of the DIFC, and as a minister covering both the economy and trade and finance portfolios in his native Lebanon. Saidi is also a member of the IMF’s Regional Advisory Group for MENA, among several other positions. Saidi began his speech with a wide appreciation of the regional economy, pointing out that receipts from oil exports won’t help the region in 2013 as much as they did last year, as prices plateau and even dip, and as non-Gulf exporters build up production. But the non-oil sector – a major policy platform for GCC governments – are doing much better. “Overall, you can expect growth in the GCC to be 3.6-3.8 percent in 2013,” he said, pointing out that this is significantly better than the more established economies. That growth will be even higher in the UAE, and especially in Dubai. Saidi added that key sectors such as hospitality, tourism and trade make up more than 40 percent of the Dubai economy, and that will grow further as Dubai continues to turn itself into an aerotropolis. Given the huge unemployment figures in the MENA region, and the growing number of young people out of work, this was a fairly grim assessment. In Saudi Arabia, 40 percent of male graduates are out of work; this figure rises to 60 percent for female graduates. The economist argued that high unemployment puts more of a focus on the SME sector, a key part of any country’s economy. It also means that states will have to stop focusing on employing nationals in the public sector. Saidi explained that some steps are being taken, especially in the UAE and Saudi Arabia, to eliminate capital barriers that obstruct the process of setting up companies. In addition, governments are also playing their part by encouraging banks to give out more loans. However, Saidi argued that this policy gives banks mixed messages; lenders have to conform to Basel III, which tends to restrict lending to small companies. In addition, banks pay the same in terms of risk analysis to approve small loans as they do for loans for much larger companies, making smaller loans uneconomic. In addition, credit bureaus are not fully in place yet. “Loan guarantees play an important role, and you need a law that provides incentives for SMEs,” Saidi said. Only 20 percent of SMEs in the region actually have a credit line from the bank, while in the UAE only 4 percent of loans go to SMEs. That figure drops to 2 percent in Saudi Arabia, Saidi revealed. However, government-assisted loan guarantee programmes in Lebanon and Morocco have raised that figure to 25 percent. Saidi himself is working on two ventures in the SME field. Launched earlier this month, Eureeca is a crowdfunding start-up based in the UAE. A second initiative is focused on building a platform to allow SMEs to list on regional bourses. Saidi said that the costs associated with listing in the Middle East are astronomical, with compliance and regulation fees coming in at around $4.5m.